A really good way to understand the Scriptural Joyful Mysteries is to meditate upon them using the Scriptures. These joyous events are recorded in the Bible exactly as God wanted, for the Bible is the written word of God. Your knowledge of the Bible and the lives of Jesus and Mary will be broadened by frequent meditation upon these events using the Bible versus noted below. 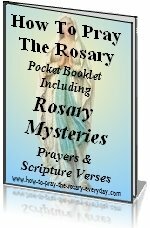 These Scriptural Joyful Mysteries are greatly enhanced in a scriptural Rosary which expands your knowledge of the Bible and the life of Jesus when accompanied by the Catholic Rosary prayers. 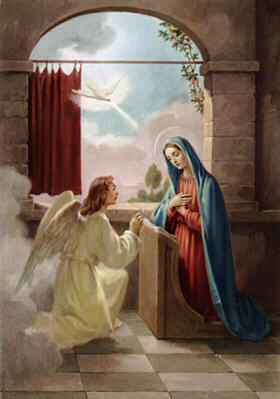 "And when the angel had come to her, He said, "Hail, full of grace, the Lord is with thee. Blessed Art thou among women." 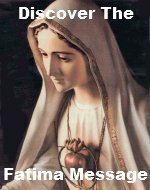 "Elizabeth was filled with the Holy Spirit and cried Out in a loud voice: "Blest are you among women And blest is the fruit of your womb." "She gave birth to her first-born son and wrapped him in Swaddling clothes and laid him in a manger, because there Was no room for them in the place where travelers lodged." "When the day came to purity them according to the law Of Moses, the couple brought him up to Jerusalem so that He could be presented to the Lord "Every first-born male shall Be consecrated to the Lord." "On the day they came upon him in the temple Sitting in he midst of the teachers, listening to them and Asking them questions." 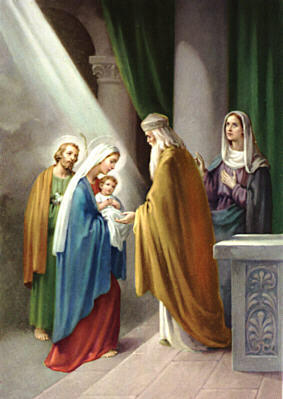 The full account of Finding Jesus in the Temple is in Luke 2:41-52 and rosary scriptural meditations. 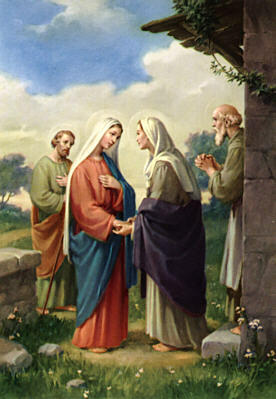 The Scriptural Joyful Mysteries recall events in the life of Jesus and Mary that brought great joy to the whole world. Mary and all of heaven were overwhelmed with joy when the Holy Spirit overshadowed her and she conceived Jesus, God made man. St. Elizabeth and the child she was carrying, St. John the Baptist were overjoyed by the visit of Mary and Jesus Whom she was carrying. 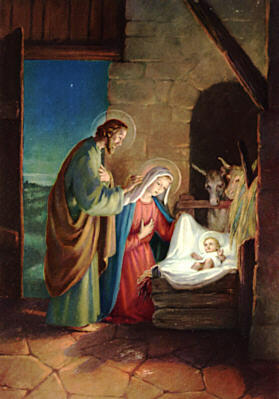 All of heaven and earth rejoiced on the first Christmas when Jesus was born. Simeon felt immense joy when he held the baby Jesus in the Temple, for Whose coming he had long been praying. 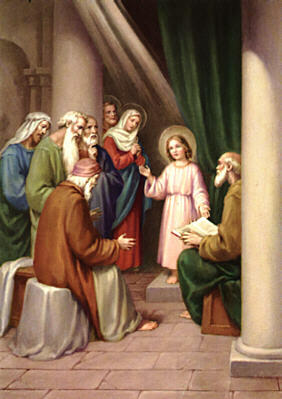 Mary and St. Joseph were overcome with joy when they found the child Jesus in the Temple after he went missing. ...and your eyes will be opened to the great joys in your own life you may be overlooking.